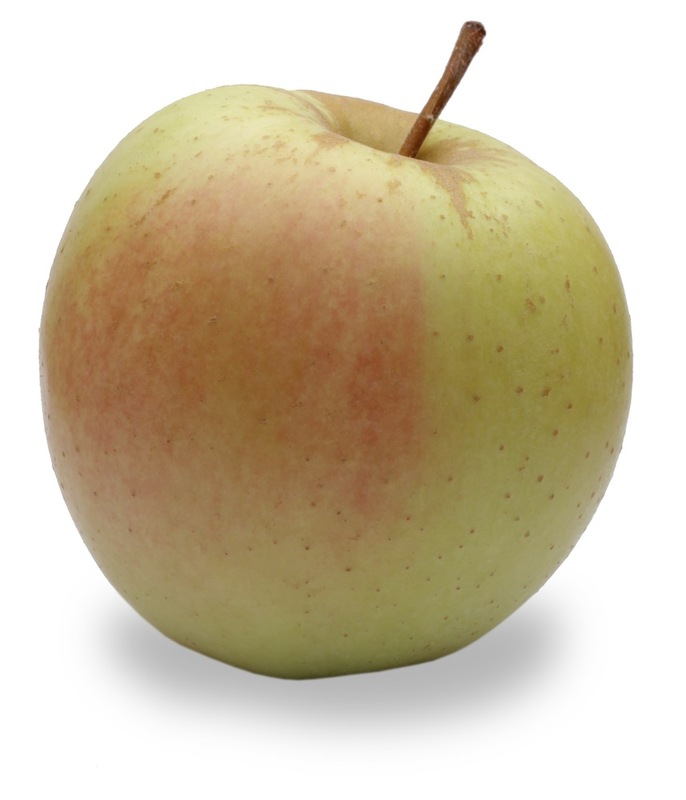 Golden Delicious apples are one of the most all-purpose apples out there. You can use them for baking, eating fresh, making apple sauce, or even apple butter. They’re awesome tasting apples (especially when they’re fresh), and this article is about some of the things I like to do with them. One of the things these apples are good for is apple pies. You can make a quick and simple pie using this recipe. Or you can make delicious apple dumplings and surprise your family with a great desert (that’s if you can somehow keep them from smelling all the homey smells coming from the kitchen!). 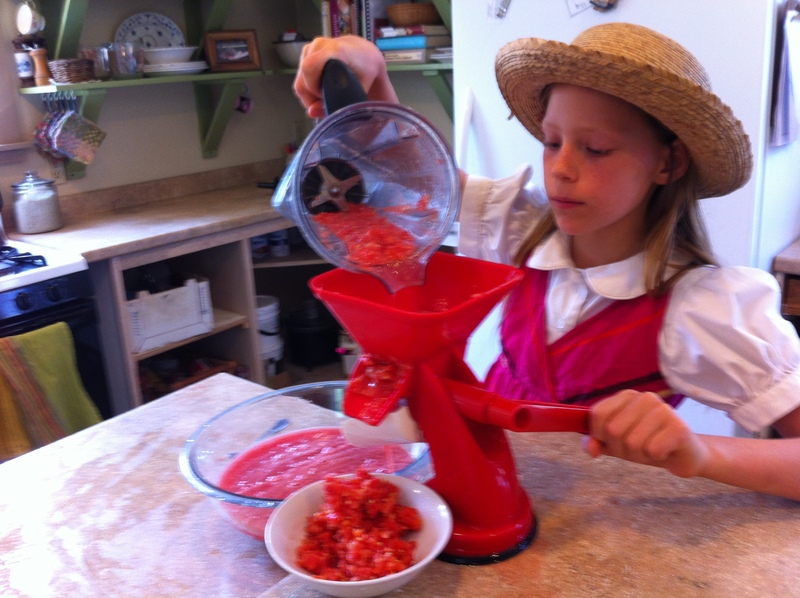 Making tomato sauce with the Roma sauce maker. 1) People say that the little spout that the sauce comes out of is a bit too short, and too close to the counter, to fit a bowl under it properly. In my kitchen, there’s a handy place where we have a higher counter attached to a counter with a regular height. When I use the sauce maker, I attach it to the edge of the higher counter, with the spout hanging over the lower counter. Then I put a bowl under the spout and start cranking. It works great. If you don’t have a place in your kitchen like that, try using a shallower bowl that fits better under the spout. Or put the sauce maker on a cookie sheet to catch any spills. 2) The sauce maker attaches to your counter with a suction cup. Some reviewers say that the suction cup doesn’t hold onto the counter very well. Well, I’ve really never had that problem, but when we make apple sauce, we get everyone helping in the kitchen. 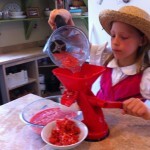 One of the kids usually holds the sauce maker still (and holds it to the counter), while another cranks it. It’s kind of like a “mom-and-kids” party in the kitchen! I was never a golden delicious or red delicious lover before – I find them a little “soft”. I understood there was a bad harvest this year and this was going to be my only opportunity for apples, so I decided to order some golden delicious from you. I have to say the golden delicious apples I just picked up are the most delicious “delicious” apples I have ever tasted. They are not soft at all, very crispy and delectable with a wonderful flavor. We are going to use your suggestion for storage with paper towels and bags, but I don’t think we have to worry about long-term storage too much – they will be gone too quickly! Thank you for all your hard work in getting us these wonderful items. I’m going to keep my eyes open for any further apples for the next order – I think we’re going to need them! I just couldn’t end this article without mentioning the apple muffins my mom makes. They taste wonderful – perfect for a breakfast, lunch, or midday snack. Click here for the recipe.